Discover our product range of kites, boards and bars. 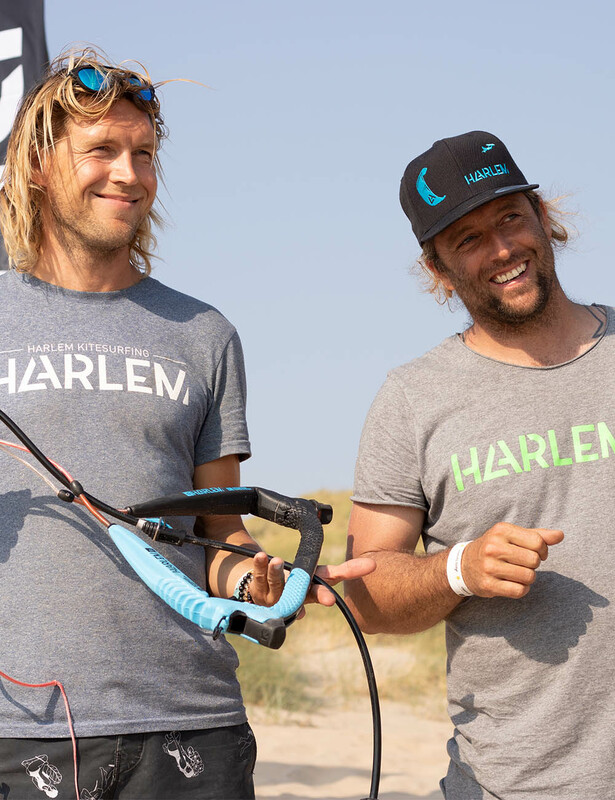 Harlem Kitesurfing is a brand for kitesurfers who prefer endurance and performance over choosing a new kite color each year. We challenge the market with new innovations, unique service and a focus on the full lifecycle of kites. Harlem aims to change the tide. Putting an obsessive focus on product development and unconditional love for everything kitesurfing. Not even entered the market and already created a better kite than the North Evo. An amazing job! For a novice kiter, it is sometimes difficult to estimate which kite and gear best suits your level. I traded my North kite for a Harlem. What a difference! Just as fast, but much more stable. The nice thing is that with these kites I can go for years, because even for the advanced kiter Harlem is a top kite! We designed the Harlem to turn fast without an aggressive pull, this makes the kite perfect for nailing jumps, charging the next big swell and everything you want in between.